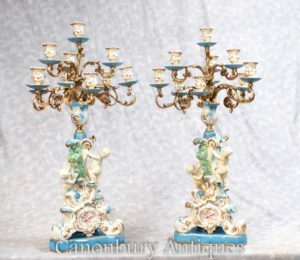 – It consists of winged Putti which displays elegance and is gorgeous. 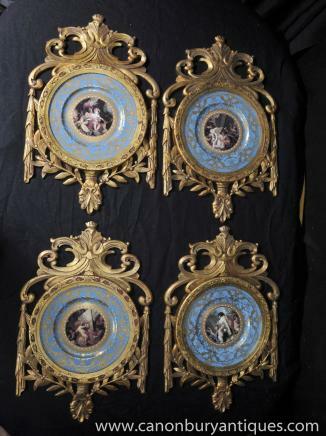 A set of four Sevres style porcelain plaques. 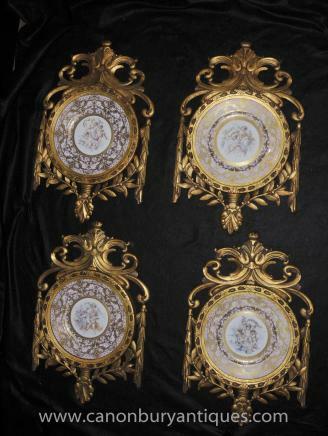 Plate decorated with cherub panels. Each plate is surrounded by a border in pink color. 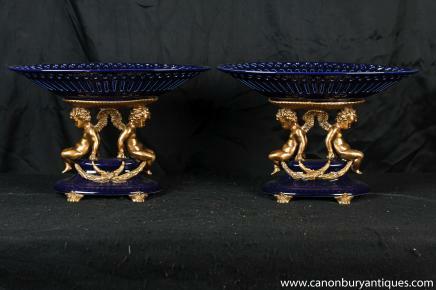 Hand-painted designs and arabesques in gold leaf added with gilt wooden frames. 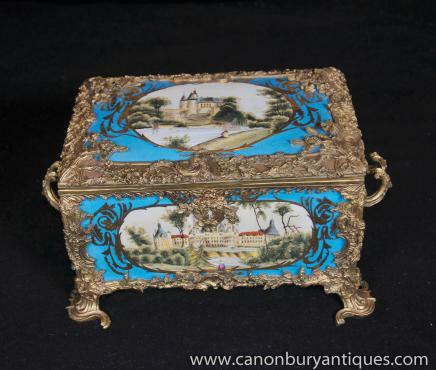 Bought it from Les Puces flea market in Paris. 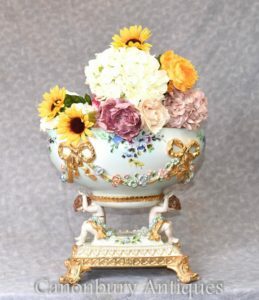 German Meissen style tureen in porcelain. 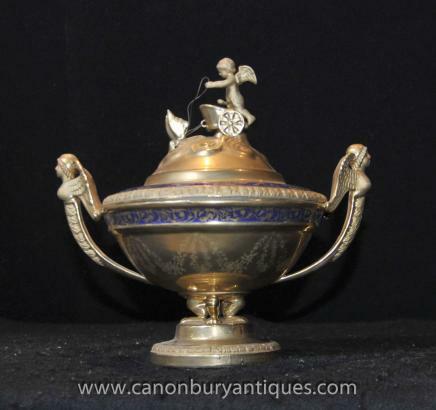 Stylish figurine of a winged cherubim with chariot mounted on the urn.